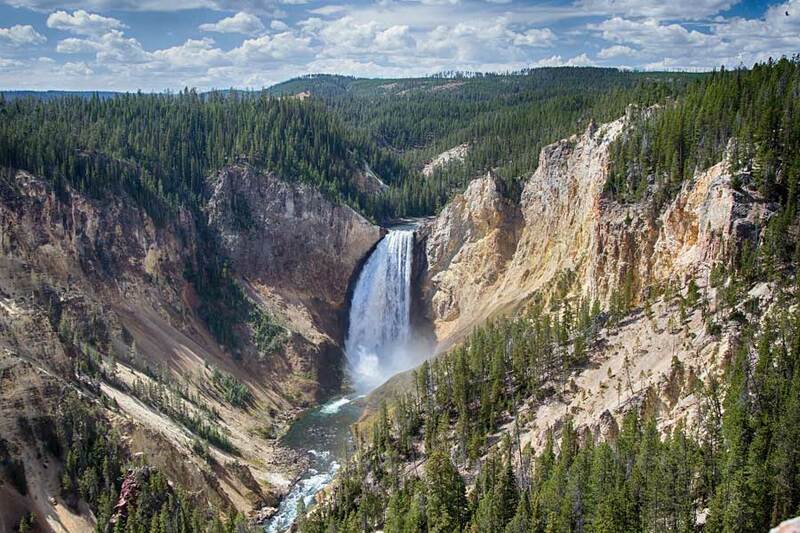 Yellowstone, the world’s first national park, covers more than 2 million acres and has the earth’s largest concentration of hydrothermal features. 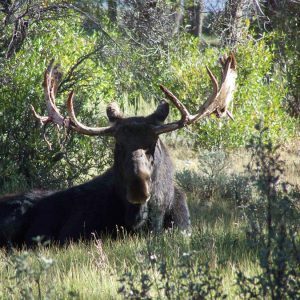 A huge wildlife preserve, Yellowstone treats the visitor to sightings of bison, elk, moose, deer, bighorn sheep, antelope, and even wolves. 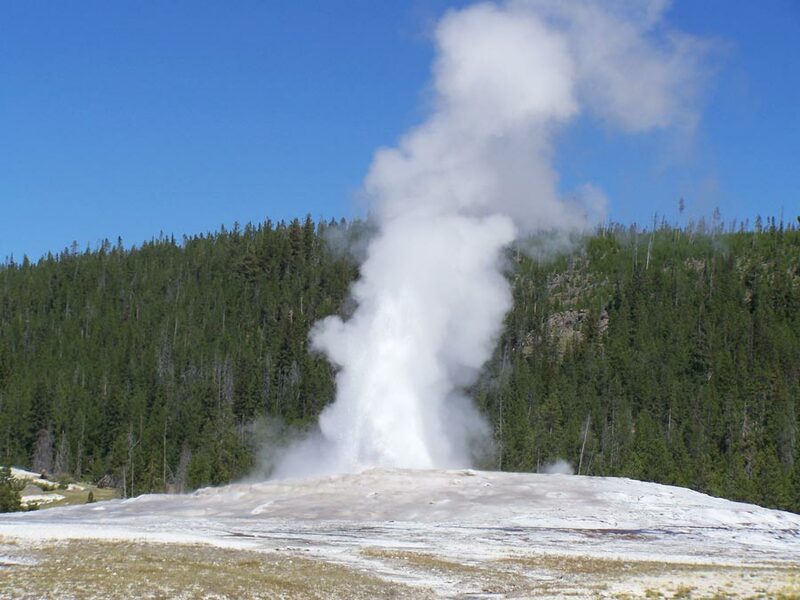 Geothermal activity consists of geysers, hot bubbling pools, colorful paint pots, and the spectacular Old Faithful. Tower Falls is almost twice as high as Niagara Falls and thunders 308 feet into the Yellowstone River. From Great Falls, travel Highway 89 south 223 miles directly to the town of Gardiner, Montana. Note that Highway 89 runs with Interstate 90 west for several miles to Livingston, MT. The North Entrance to Yellowstone National Park is located on the south side of Gardiner. The drive should take approximately three hours. Because of Yellowstone’s vast size and the wide open landscapes, Yellowstone is more of a driving park in comparison to Glacier National Park. While there are a few nice hikes, most of the Park’s main attractions are served by road. 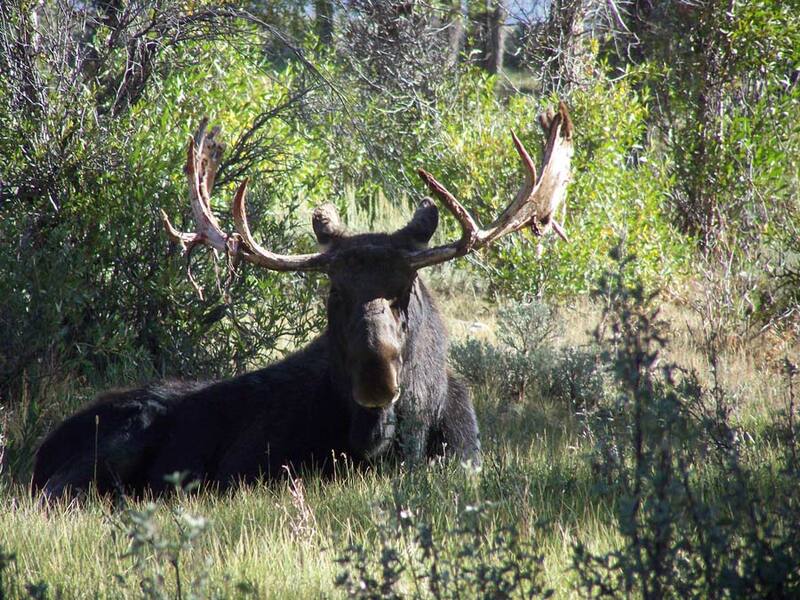 To see them, plan to drive in the park several hours each day. 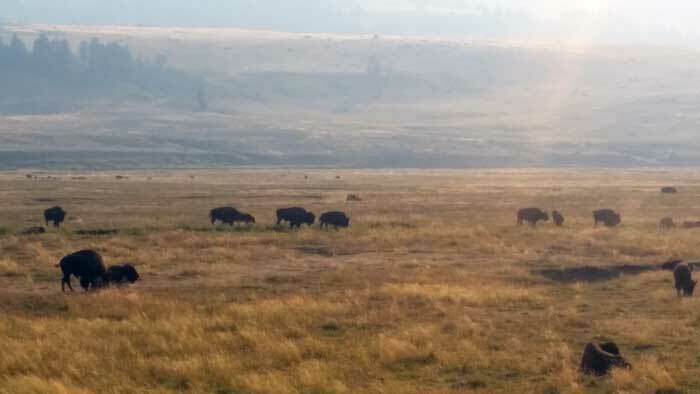 Most wildlife in Yellowstone will be seen from the road. 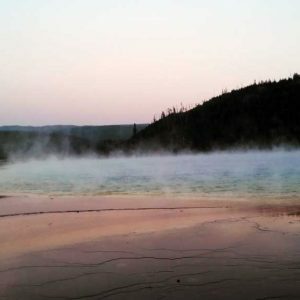 Here is a list of worthwhile stops for your Yellowstone itinerary. Mammoth Hot Springs : Located just five miles inside the North Entrance to Yellowstone, Mammoth offers a bizarre moonscape of towering white mineral deposits combined with brightly-colored pools of red, blue and green. Standing several stories high the thermal feature has boardwalks that allow you to safely explore the area next to bubbling pools and vents belching steam. This feature is located in the village of Mammoth which has a small hotel, restaurant, restrooms and a small museum. Herds of elk and buffalo roam the flanks of the hot springs and can usually be found walking the streets of town. 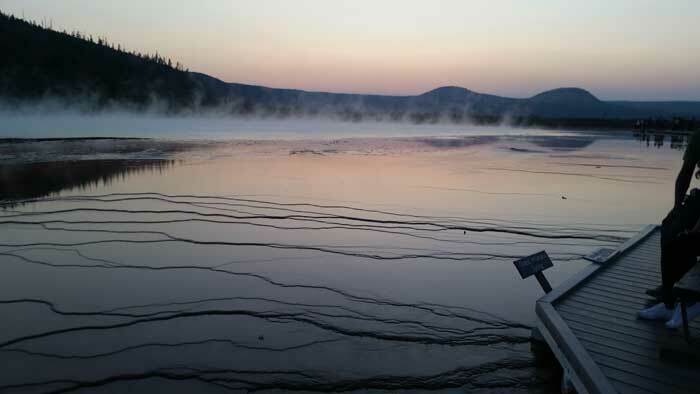 Visit this location in winter for groomed Nordic ski trails that travel adjacent to boiling pools of water. Beartooth Highway : Probably the most scenic drive in the Yellowstone area, the Beartooth Highway snakes through alpine scenery from Cooke City, Wy to the ski town of Red Lodge, MT. 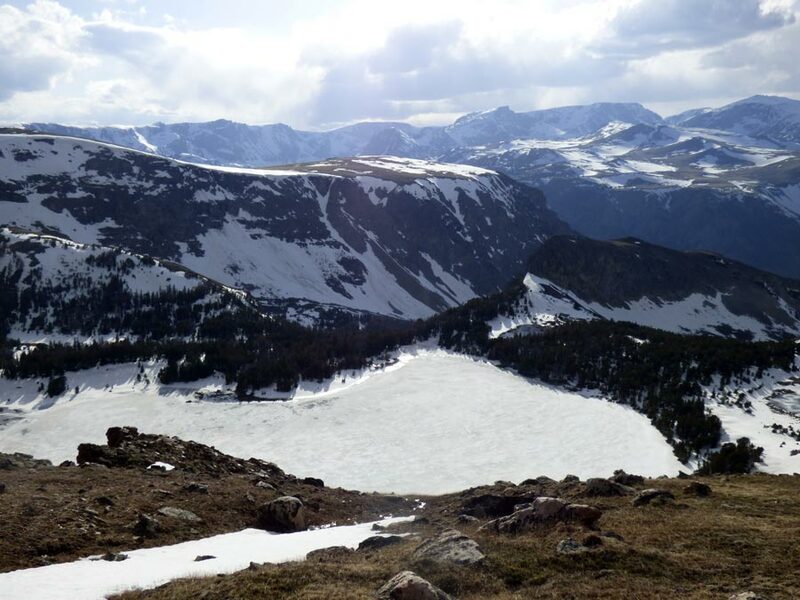 Officially designated US 212, Beartooth Highway reaches a highpoint of 10,947 feet above sea level. Pack a full tank of gas and a few road snacks because services are limited on this paved mountain road. Expect to see snow covered peaks, waterfalls and even permanent snow fields along one of the great road tours of the west. Directions: From the North Entrance, travel five miles to Mammoth Hot Springs and turn left following signs to Tower-Roosevelt. Drive 18 miles to Tower Junction and turn left toward Cooke City. 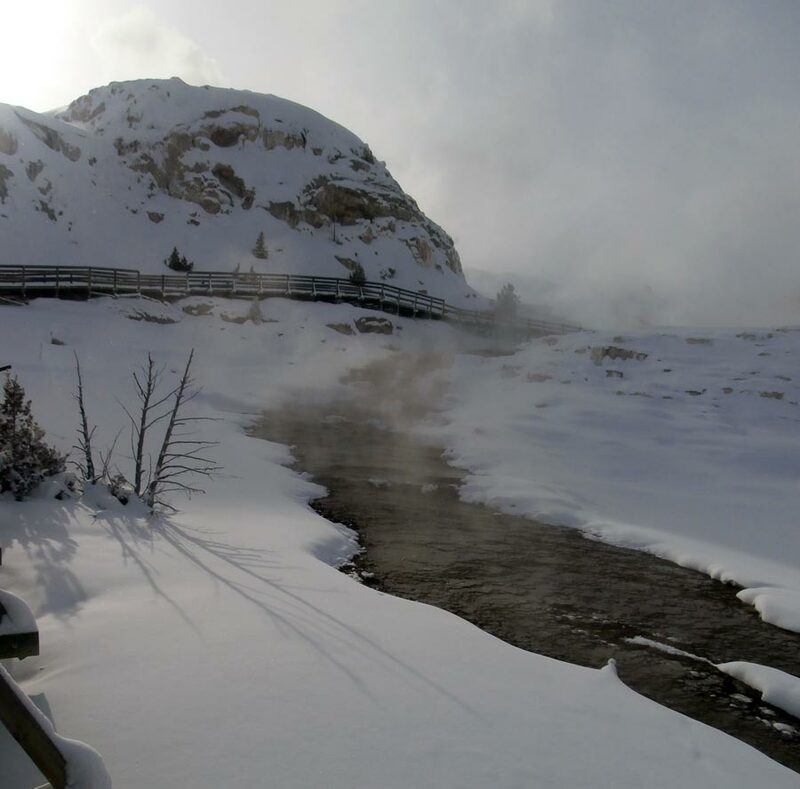 It is 29 miles to the Northeast Entrance of Yellowstone at Cooke City. From Cook City to Red Lodge is an additional 68 miles which will most likely take three hours with a few photo stops. 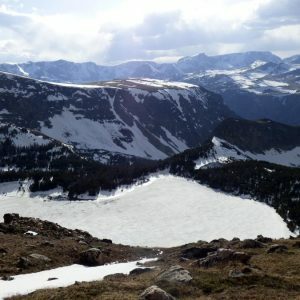 Some choose to turn around at the top of Beartooth Pass which saves an hour; however, Red Lodge with its bistros, microbrews and ice cream shops is a great stop for lunch. Lamar Valley : The Lamar Valley is a vast grassland often referred to as the American Serengeti. 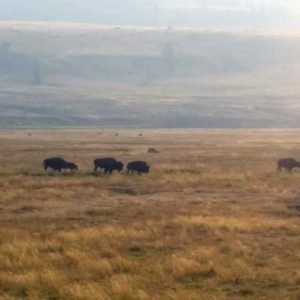 Visitors are likely to see large herds of buffalo, elk, and other plains animals. Grizzly bears also frequent the valley making this one of the most likely places to see one from a safe distance. The Lamar Valley, particularly in the area near Sough Creeks, is also one of the best places to see the parks famed wolves. They often den near the road in this area and can be sighted hear from winter until late spring. Directions: To reach the Lamar Valley, travel 18 miles from the North Entrance to Tower Junction, Turn left and go another 10 miles to the head of the valley. 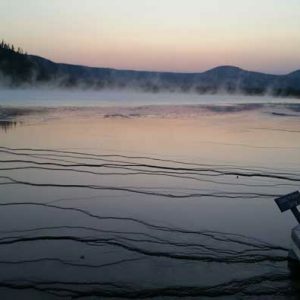 Grand Prismatic Hot Springs : The largest hot spring in the US and the third largest in the world, Grand Prismatic Hot Springs offers an amazing example of Yellowstone’s geothermal activity. 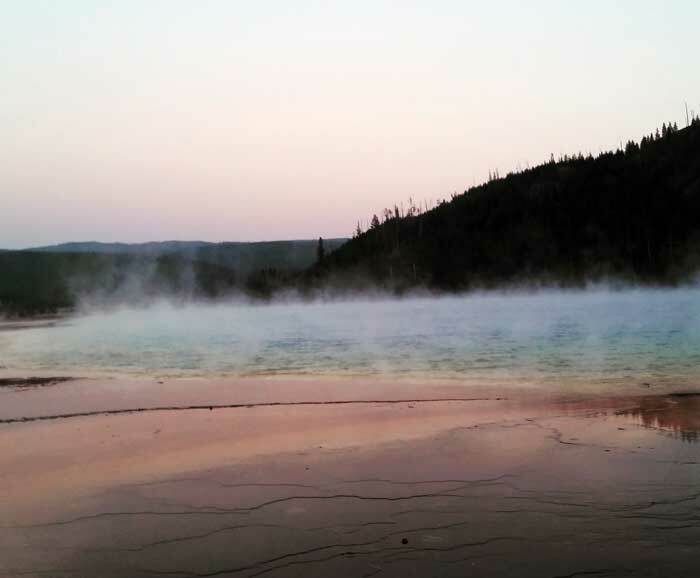 The bacteria living in the extreme heat of the springs create a vibrant rainbow of colors along the shore of the spring. Directions: Travel 42 miles south on Highway 89 from the North Entrance to Madison Junction. Continue on Highway 89 for 14 miles to the Midway Geyser Basin. 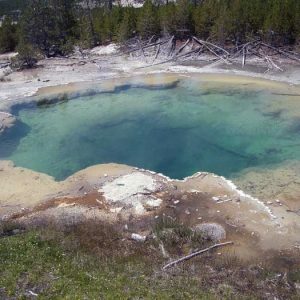 Firehole Canyon : Pack your bathing suit for a little known treat in Yellowstone. In addition to an incredible roaring waterfall that is rarely visited, the Firehole Canyon loop also has a small beach area along the road where many locals take a swim. The water is brisk but refreshing on a hot day. The water flows through a narrow rock lined canyon making this area nearly mud free and the water crystal clear. Directions: Travel 42 miles south on Highway 89 from the North Entrance to Madison Junction. Watch on the right for the start of the Firehole Canyon Loop less than ¼ mile after the Madison Junction. 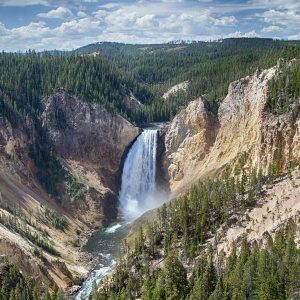 Grand Canyon of the Yellowstone : This massive canyon is impressive enough but adding the roar of the 108 foot Yellowstone falls and this destination is truly one of the parks highpoints. The Canyon area offers multiple boardwalks and trails to view the falls from various angles. This will be one of the highlights of your visit. Directions: From the North Entrance, travel 26 miles south to the Norris Junction on Highway 89. Turn left and continue 12 miles to Canyon Junction. 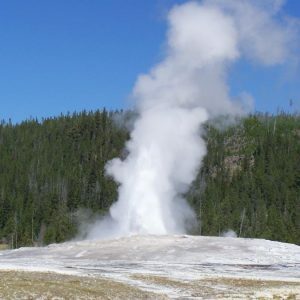 Old Faithful Geyser : One of Yellowstone’s headlining attractions; Old Faithful erupts about every 90 minutes. Eruptions extend from 100 to nearly 200 feet in the air. The Old Faithful Complex is a great place to grab lunch with several restaurants and historic inns to explore. There is also a great Visitor Center offering fun displays on geothermal features. Directions: Travel 42 miles south on Highway 89 from the North Entrance to Madison Junction. Continue on Highway 89 for 16 miles to the Old Faithful Complex. Fairy Falls: Take this easy 5 mile roundtrip to a cascading 200 foot waterfall. The trailhead is located just five miles north of Old Faithful along Highway 89 at the steel bridge. Mount Washburn Trail (6.5 miles roundtrip, Moderate): If you have never been in a fire lookout or if you just want to get the lay of the Yellowstone land from above, this is your trail. The trail is exposed on an open hillside and can be hot and dusty on a warm day. The trail is on an old roadbed and gains 1,300 feet of elevation. However, once you reach the top of Mount Washburn, the wind usually cools things down. The Park Service allows visitors to explore inside the manned fire lookout and take in commanding views of the landscape. Directions: From the North Entrance, travel five miles to Mammoth Hot Springs and turn left following signs to Tower-Roosevelt. Drive 18 miles to Tower Junction and turn right onto Tower road. Drive 13.6 miles to the Dunraven Pass Trailhead. 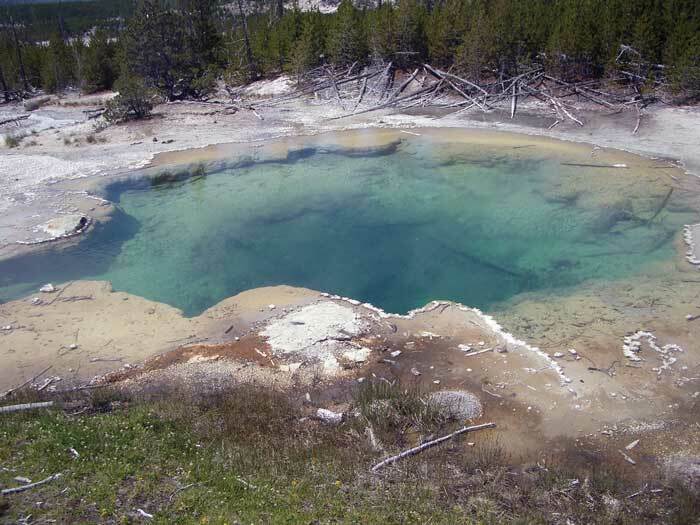 Mystic Falls (2.5 miles roundtrip, Easy): Biscuit Basin is a popular stop near Old Faithful. The Basin has several unique geysers with colorful thermal features. At the back of the geyser boardwalk is a trailhead to Mystic Falls. The trail snakes back through the trees in two different directions, the left fork being slightly shorter. The trail eventually climbs alongside the falls for great views of the 70 foot drop. Directions: Travel 42 miles south on Highway 89 from the North Entrance to Madison Junction. Continue on Highway 89 for 16 miles to the Old Faithful Complex. Biscuit Basin will be on the right just before the off ramp to Old Faithful. Natural Bridge (2.9 miles roundtrip, Easy): This is a short hike to a scenic rock formation. This trail provides a great illustration of Yellowstone’s flora with both grassland and forest habitats. Bear spray is a must for this trail and the Park Service does close it seasonally for bear activity. Directions: The trail leaves from the Bridge Bay Marina. From the North Entrance, travel 26 miles south to the Norris Junction on Highway 89. Turn left and continue 12 miles to Canyon Junction. From the Canyon Junction head south for 16 miles to the fork near Fishing Bridge and turn right. Travel 9 miles to the Bridge Bay Marina.